In the winter of 1912, in the darkened hired room of an inconspicuous hotel in Saint Petersburg, three men met for the first time. These men shared a common interest, and yet a dissimilar goal. The first man was called Ernesto Sabatella. He was a short, aging Italian, with brilliant white hair and a thousand yard stare. The tall heavy set and gruffly spoken presence that sat with diary in hand was the shunned physician Thaddeus Belacleese, thought dead for many years. And at the dirtied window of the second floor dwelling, a wraith like countenance fixed his gaze on the street below, stroking his tangled graying beard into a point. His name was Grigori Rasputin. Thaddeus and Ernesto had encountered each other through their shared research. 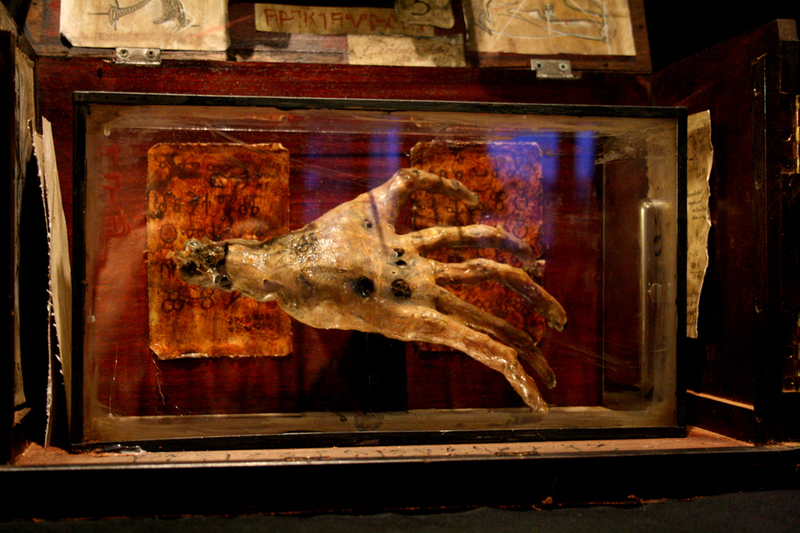 In 1892, Ernesto had concocted a compound that had the ability to mold living cells like clay. It was known as theEsheridadae Compound, and he had performed a series of experiments on human and non human animal life in a quest to discover various personal and esoteric answers to a series of spiritual quandaries. He had come to many obstacles along the way, until news of an arrest in London, England sparked his curiosity to a possible answer. 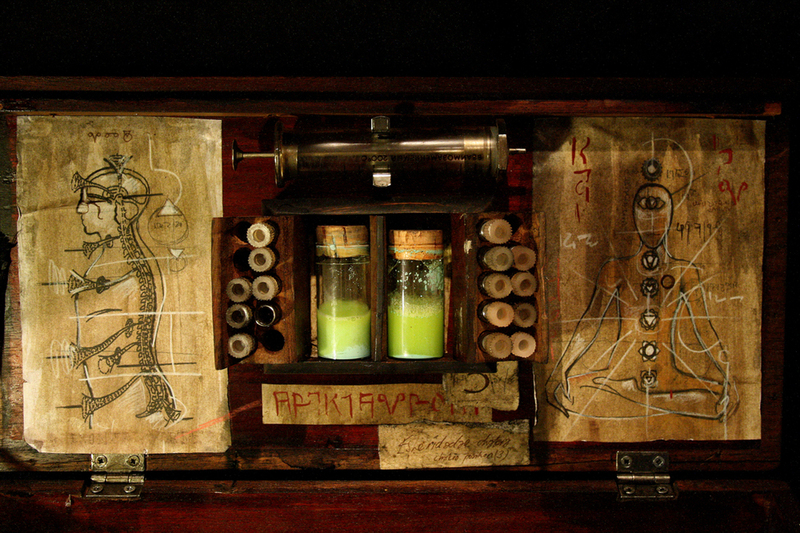 The physician to the queen, Thaddeus Belacleese – had unwittingly exposed his own research to the disapproving eye of the scientific community when his experiments in re-animation had been discovered. He had stumbled upon a way to cheat death – and in this knowledge Ernesto Sabatella saw the key to his own research. He traveled to England and found the prison where Thaddeus was held. He met with him and told him that they shared an interest in the preservation of Thaddeus’s life, but that he would have to die for this to occur. Puzzled, Thaddeus held up his hands and said “i have no other options!”. He was hanged the morning of June 20th, 1899. As the body was carried away, Ernesto bribed the guard and stole the corpse cart. He took the cooling cadaver to an out building beyond the city wall, which he had rented and established as a makeshift laboratory. There he placed Thaddeus on the cold stone floor, and fed a series of hollowed needles into the brain, the neck and the heart. Vials of his compound were tied haphazardly to the ceiling beams, allowing the fluid to drain into the body. He then took out his instruments, and cut into the flesh with metal rods fastened to a small hand cranked motor. He charged the motor and electrocuted the corpse, continuously for 15 hours. The compound reconstructed the tissue in the neck and spinal chord. It fed the brain, and reconfigured current from the battery. In a fit of exhaustion, bile and fear – Thaddeus opened his eyes. The next morning, his body enrage with pain, his flesh crawling with electrical charge, smeared with his own blood and effluent. In that moment he exclaimed “We are like gods!” and the first union was established. For years they continued their research, traveling through Germany, Poland and into Russia. Here they established a small clinic and laboratory, which served as a cover for their otherwise ill-gotten work. They would periodically cure some ailment, and sell the patent to whom ever wanted it. It is believed that during their time they cured many of today’s most terrible illnesses, yet saw it as no significance to themselves. They were selfish, murderous men, yet they were also geniuses. It was through their various black market channels, in their search for illusive rare hormone glands of secretive animals, or saliva – or blood – that caught the attention of a man who had enveloped himself in many disguises. In 1910, he was seen as a holy man, a prophet who had learned at a young age the secrets of earth magic, of the dark arts and he too created a cover for his less holy pursuits. He had also inserted himself into the royal family of Russia, where the Tsar himself called him a friend. He had used his own understanding of medicine to help the Tsar’s son recover from Hemophilia, and through this establish great influence over the government. Yet he was not stupid, and knew that his plans of influence and coercion would be frowned upon by those loyal to the Tsar, who could see through this veil. And so he twisted both the stories of himself and the stories shared between his enemies, so that even if he could not prevent his assasination, he could control the means of his death. Whilst trading donated coins for herbs and powders, he was told of two doctors who collected similar apothecaries. He was given an address and with this he sought out Thaddeus and Ernesto. his reputation preceded him and both were wary of his presence. they believed very little of the tales of dark arts and magic, yet knew of his cunning. But the rumours of this magic were not as false as they were lead to believe, and it was in this moment that Rasputin introduced them both to the final 3rd of their trinity. Rasputin introduced the duo to sciences unbeknown to either of them. He spoke of an art known as “weaving” – the ability to control elemental particles with mere words. He taught them of ancient unspoken practices – arcane ideology written on the walls of caves, alchemical formula mistaken for witchcraft. It was incomplete – forgotten gobbets of information torn asunder by the ravages of time, famine, political upheaval and war. It was with the power he now wielded within the Russian Monarchy that would finally usher in a new age – the reformation of the weaving way – the Cathen Howen – the rule of words. He took the compounds of the anathema mechanism, and the puissant forces bestowed upon the undead Belacleese and fused them with his ignominious rituals. The weaving way was the root of the chakra, it was the basis of abrahamic rites, the hidden runes of china, tibet – the fusing of ancient Scythic, hieroglyph, sanscrit – reshaped and molded to fit the characters of Cyrillic, Glagolitic – written down before the first flame was lit. Fire was forged by its penmanship – in chalk upon dry stone. The weaving was born of non terrestrial origins, bought down by unscrupulous malignant entities masquerading as gods. There were three of them – Alleher, Jayoven and Yewa- They wanted for nothing but to be worshiped. They divided the land amongst them and tempted the innocents to join their flock. These entities promised the world, and gave nothing, and soon grew tired of the people they entranced. They left, leaving behind a legacy of pain, and blind obedience. But it was the weaving that was the ultimate gift to mankind. The ability to control exotic matter, energies invisible to the naked eye, and play with them with words – known to some as spells. To cast a spell, you simply spoke the words in order, like mixing chemicals to forge a reaction. It was with this that Grigori Rasputin charged the duo with a challenge. To make him immune to death. They first collected the known poisons of the day, those most likely to be used to kill Rasputin. Over months they injected tiny amounts into his blood, building up a natural immunity. He suffered greatly for this, loosing the little weight he had on his bones. But he grew strong, invigorated by the burgeoning technologies of Dr. Belacleese. Daily he was electrocuted, which had an exponential effect on the weaving of words. Soon he had built walls of impervious air around himself, by controlling the air itself. His skin grew taught over bone, hardened by the compounds and elixirs of Ernesto Sabatella. His ultimate sacrifice was the removal of his right hand. The flesh of his body was becoming more difficult to experiment on, and so he allowed them to continue their formula on his dissected flesh, as his body continued to become almost indestructible. The night of December 16th, 1916, Rasputin’s plans were finally put in place. He had shadowed those who would see him undone, and corralled his nemesis – Prince Felix Yusupov and the Grand Duke Dmitri Pavlovic – into luring Grigori to Yusupovs’ Moika Palace, where they plied him with cakes laced with poisons. The poisons had no effect on him, and he continued to mock them behind his dark and watchful eyes. Yusupov grew tired of this, almost aware that their plans had been thwarted, and decided that they must kill him before the morning, leaving time to hide the body. They rushed Rasputin, shooting him in the back. He stumbled to floor, yet he did not die. They beat him until he no longer moved and then threw him into the icy river below the palace. His body was found by villagers and examined – an autopsy confirmed that he had indeed died from drowning, and not the poisons and bullets now lodged in his flesh. Rasputin’s royal friends had him buried in the grounds of Tsarskoye Selo, yet after the Revolution, a group of men dug up the corpse, dragging the fetid remains to a forest nearby, and burned him. Legend speaks of the moment the fires consumed his body, and as he burned, he was reborn. He sat up in the flames, the kinetic charge flourishing dead cells, the Esheridadae compound rejuvenating dead flesh – the fire itself a catalyst for this imbued life. 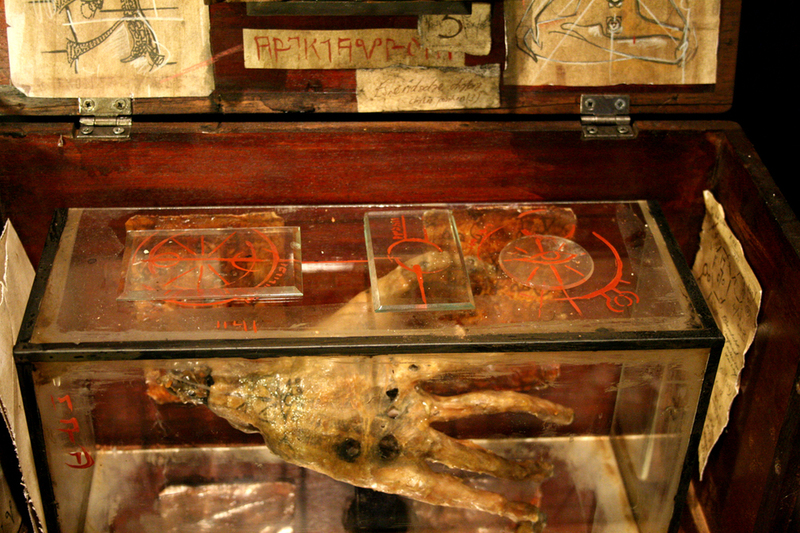 The body was presumed cremated, and the legend of his reanimation blamed on gases in the decaying corpse. Rasputin walked away from Russia, coxing and bending the will of the world around him. He returned to Ernesto and Thaddeus, where they continued their most terrible work..